You could always do this, but the default behavior was to store the package in the same file as its parent. You had to take an extra step to save it in its own file. We did this since most of our users are now using shared projects as they collaborate with their teammates. The benefit of having each package in its own file is that it can be checked-out independently, allowing team members to work on different parts of the project without getting in each other’s way. 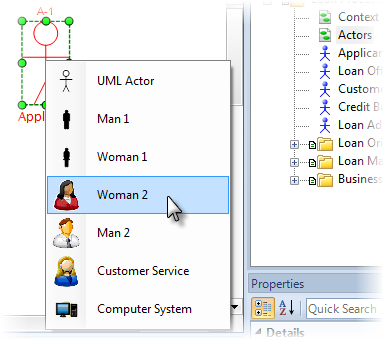 The ability to generate activity diagrams automatically from use cases is a popular feature. When you saved the project, however, you were prompted for a diagram file name. That felt a little cumbersome so we tried to improve the usability by generating the file name for you. 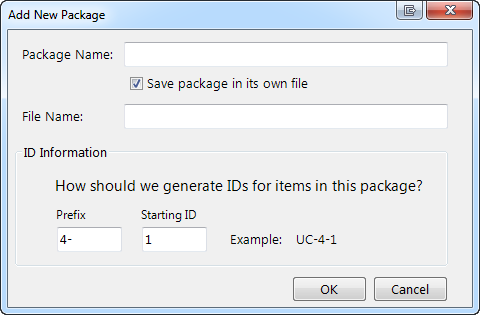 The file name will start with the name of use case that owns the activity diagram followed by ActivityDiagram. For example, if you were to generate an activity diagram for a use case named Place Local Call, file name would be PlaceLocalCallActivityDiagram.ndx. We’ve had this feature tucked away for awhile, but it wasn’t easy to discover. If you’d rather not see the menu, you can tweak the way this works under the File / Options / Diagrams menu.